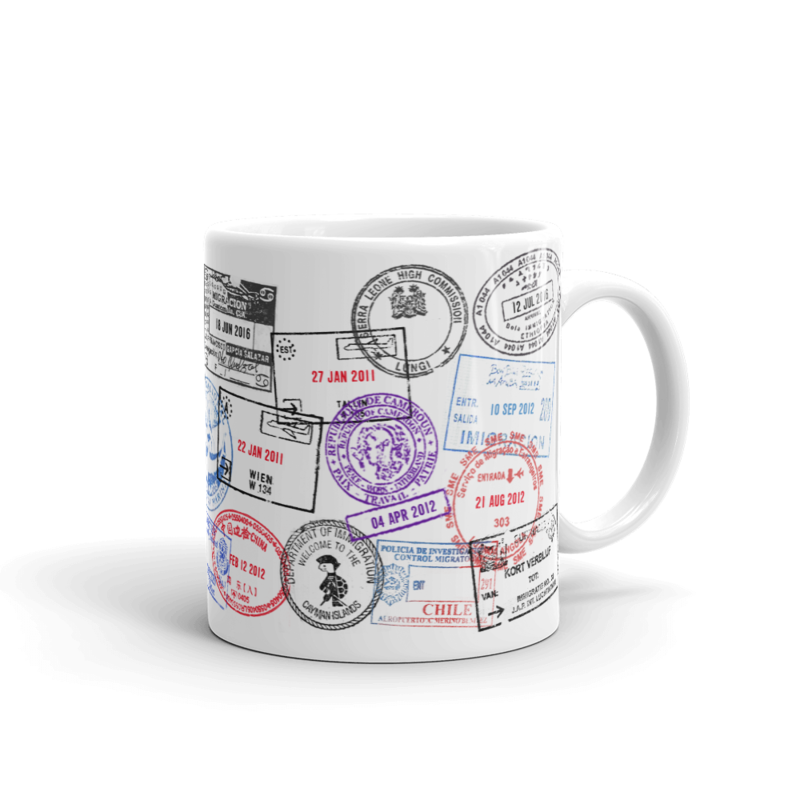 Create your own custom passport coffee mug with stamps from your favourite countries! We’ve scanned and scoured passports to get authentic stamps from over 190 countries around the world! Simply click Customize and add your stamps and dates! *Note* it is much easier to use the customizer on a desktop computer rather than a phone! If you're not satisfied with the product or there is a defect, you can request a refund or we will send you a new product!